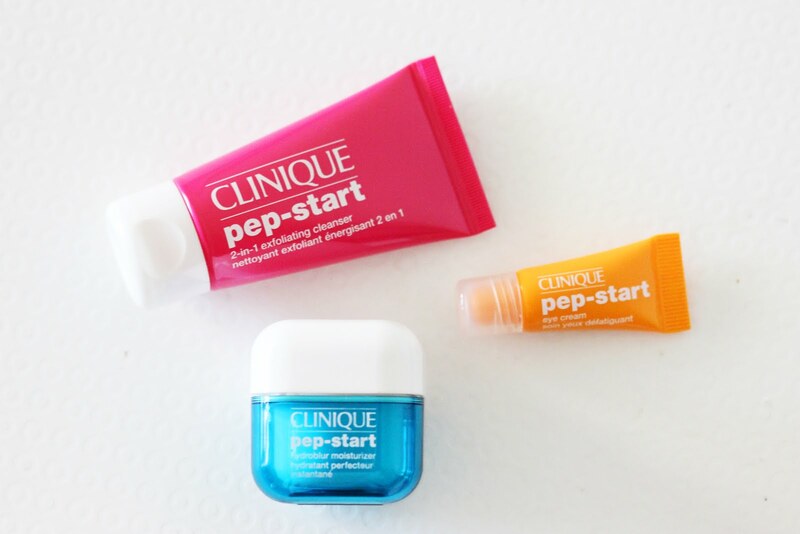 Recently I've adopted a new morning routine - the Clinique Pep Start range. I can't lie to you - I was completely drawn in by the packaging! I know, it's my big weakness, but the bright colors and the clean white text just looked so appealing. 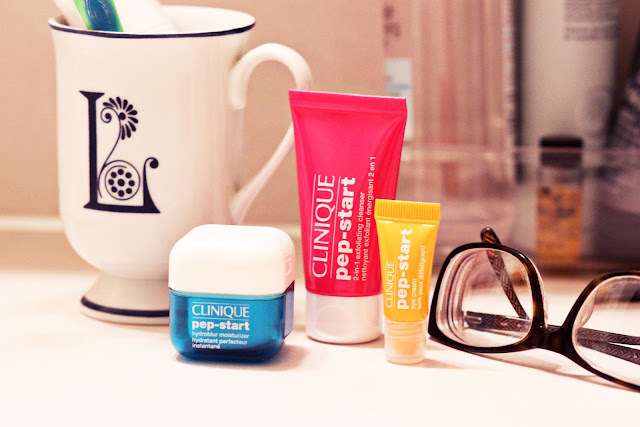 I've needed to change up my morning skincare regime for awhile now and this seemed like the perfect place to start. 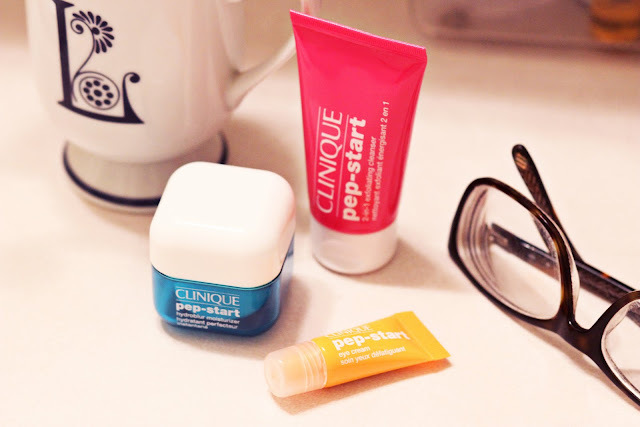 I start off with the 2-in-1 Exfoliating Cleanser, which is important when you wear sunscreen on your face almost every day. Sunscreen can clog up your pores, but it's still super important to wear - especially when you have skin as pale as mine. The exfoliator is not those little horrible beads (a win for the environment), it's a fine gritty texture that is gentle enough for sensitive skin but still feels like it's working. Then I apply the HydroBlur Moisturizer which is the perfect base for applying makeup over and keeps your skin matte. Then I follow up with the Eye Cream to make sure my eye bags don't follow me to work. The thing I love the most about this collection is how well my foundation sits on top of my skin after I apply everything. It has made such a difference in my foundation!